Let me start by saying this is technically a middle grade book. Having said that, this is one of my favorite series! I did this rating mostly from memory and therefore might have missed something but I’m pretty confident in the information provided. As each chime sounds, Cara climbs faster up the steep bell tower. Eleven! She must be on the roof when the next bell tolls. Twelve! 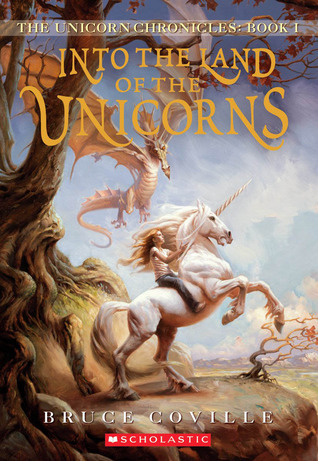 With a deep breath, and only half believing she will survive, Cara jumps off the church roof and into Luster, land of the unicorns.